Two weeks ago Cats, the legendary musical with its record $2 billion box office sales and worldwide audience of 73 million, had its Chinese language premiere in Shanghai. This will be followed by a tour consisting of 162 performances in other major Chinese cities. Following the success of Mamma Mia!, Cats is the second Chinese adaptation of a musical promoted by United Asia Live Entertainment (UAE). Mamma Mia!, which is currently on its second tour of China, set a record of 191 consecutive performances on its first tour last year and earned 850 million yuan ($134 million) at the box office. 2011 went down as "The First Year of China's Musicals." Whereas Mamma Mia! is a warm family comedy, Cats is much more abstract since its plot is based on T.S Eliot's "Old Possum's Book of Practical Cats," a poem, and it has almost no dialogue. In addition to understanding the screenplay, the actors need to have excellent physical fitness and staunch willpower. "We have uninterrupted rehearsals sessions from 11am to 10pm daily with costume and makeup on. The dancing is even harder than for Mamma Mia!," says Mao Haifei (冒海飞) who plays the role of Quaxo in Cats after dancing in last year's version of Mamma Mia!. Not only are the performers required to maintain the posture and the look of cats through out the show, but they also have to dance non-stop for 150 minutes in various styles: classical, jazz, pop and rock. Whether it's Mamma Mia! or Cats, the Chinese-language versions are produced according to the formula of "original production team plus Chinese actors". The copyright agreement alone has hundreds of pages of densely written text specifying each deal. UAE has signed five-year contracts with the respective copyright owners of each of the two musicals - Little Star and Really Useful. The costs of the first round of performances are borne by the UAE but are underwritten by local entertainment companies on the second tour. Tian Yuan (田元), the general manager of UAE, does not hide his ambitions for musicals in China's domestic market. "We are the first ones in China to produce musicals professionally. Mamma Mia! 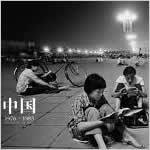 's Chinese version was our initiation. We are hoping to find a mode of localized musical production, finance and local talent. We'd like to found our own theater, performing groups, and have our own originality." "A Chinese version makes it easier for the Chinese audience to be fully integrated into the story. The use of Chinese language and Chinese performers draws the audience closer to the show," Tian Yuan said. In Mamma Mia!, local Internet buzzwords are deliberately added to highlight the localization. In the Shanghai premiere of Cats, one of the roles, the "aristocratic cat," said "goodbye" in Shanghainese on stage, attracting the audience's laughter. 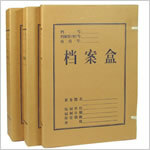 The costs of staging the original English-language version and the Chinese-language version differ greatly. The original version of Mamma Mia! toured China in 2007 with 16 performances over two weeks and required 15 million yuan ($2.36 million) in operating costs, whereas its Chinese version cost 30 million yuan ($4.72 million). "I have a five-year performance cycle to digest these costs. The first year we staged nearly 200 performances and we won't do less than 100 performances per year from the second year. In total there could be 600 performances in five years," Tian Yuan revealed. During the musical production process, the casting process as well as rehearsals are all subject to the requirements of the UK companies. The attention to detail is astounding. "These foreign firms very much hope that we can quickly learn all the aspects of the entire production links and process, and do it 100 percent," Tian Yuan explained. "These musicals are not 'Made in China,' but 'Chinese versions' and the quality must be guaranteed so that whether it is in London, Germany, Russia, South Korea or Japan, the audience sees the same quality. Only good quality will sustain good vitality." Jo-Anne Robinson has worked on both the Broadway and West End versions of Cats for 30 years. Today she is directing and choreographing the Chinese-language version. She explained that right from the start of the creation there is a blueprint. The music, dance and acting are all planned out in accordance with this blueprint. "Nevertheless, Chinese actors are not carbon copies. They need to bring richness to each cat in accordance with their own understanding of the musical," she says. 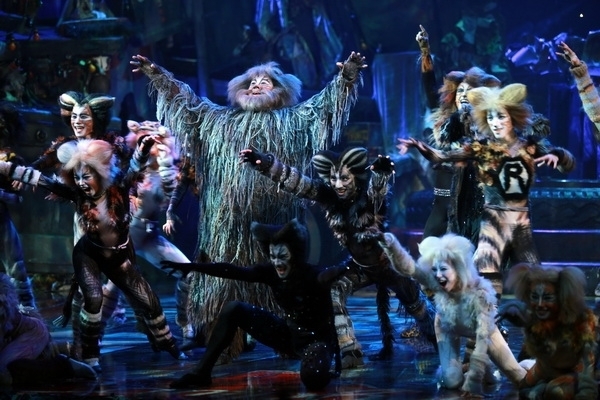 The Chinese version has the most cats on stage since its creation, a total of 34. The Broadway version only had 24 to 26 cats. The people working on the Chinese version were particularly concerned about the adaptation of the Cats theme song, Memory. Music director Fiz Shapur says that, "Taking into account the Chinese syllables, phonology, and in particular the tones, is very difficult. The slightest mistake will cause ambiguity." The biggest challenge lies in finding the right cast. "There aren't many performers in China who can act, dance and sing. Besides, it's rare to find among the few who meet the basic requirements someone who has any experience in musicals," Fiz Shapur pointed out. However, after seeing the passion of Chinese audiences for Mamma Mia!, the Chinese version of Broadway musicals looks destined for great success. The Economic Observer's editorial staff are always on the look out for interesting, fresh and high-quality China-related content. Whether it's the latest buzz on Weibo, links to insightful articles or updates on the latest books and reports, through China Buzz we'll keep you in the loop about what's going on in the world of Chinese politics and economics. Kai-Fu Lee vs "Science Cop"
"Tobacco helps you become talented!" Enter your e-mail address to subscribe to China Buzz and receive notifications of new posts through e-mail.